In the intrest of creating high quality content for the blog, I will be producing the 3rd annual GRC Cherry Blossom video, in collaboration with friend of the team, Jon Snow. 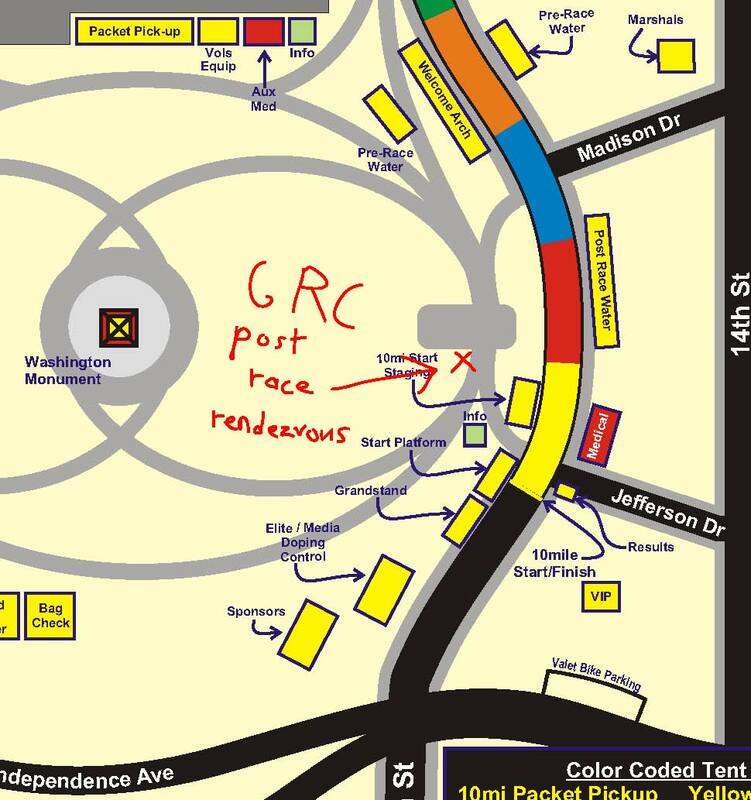 After the race and cooldown, we ask that all GRC team members report to the Washington monument grounds adjacent to the finish line for short interviews. This is also a great chance to get a team photo since so many GRCers will be at the race. We have a lot of new faces this year. Like Peter said, everyone should meet on the Washington Monument grounds right after you finish. Maybe more specifically we can meet next to the Washington Monument Ticket Office/Restrooms (the new little stone building adjacent to the finish). Those of you not racing should meet us there too since you should be in the photo. Since our award-winning photographer Jarrin is racing, it would be great to have a non-racing GRCer out there getting stills. If you have a DSLR camera rather than a point and shoot, that would be ideal. I can take care of warmups. That's no problem. I'll try to bring a camera, too. Hopefully me and my trusty bike, ZeroZeroTwo, will be able to catch you guys at mile markers 1, 4, 6, 7, 8 and the finish line. I'll be trying to maintain balance and shout out times if there are no clocks on the course. I don't think I can shoot pictures while riding though. I look forward to working with the esteemed Mr. Path. To all, push hard Sunday! Hey Chicken Tender, maybe I can duct tape a flip video camera to your helmet. I have a gazillion fliers for the FATHER'S DAY 8K in my bag that I need help handing out after the team picture. If anyone is NOT running the race I would greatly appreciate it if you took them off my hands before the race. If not, we can all work together post-race. I'll be out on course and as long as you have a GRC singlet on, I'll take a pic. I guess that will force me to make a Picasa album or something (as always, I'll also upload to facebook). More importantly I love the handwritten section of your map. McGrath, post race I will send you instructions on how to file-transfer the original photos to me (Picasa and facebook compress the files.) Does your camera shoot jpeg or RAW? I'm glad you like my map. Incidentally, I received poor marks for penmanship throughout grade school. Bring duct tape, I'll bring the helmet. Wait, so what time is team photo? Kidding about the duct taping. McGrath, can you use senduit.com to send me the best GRC pictures you have?